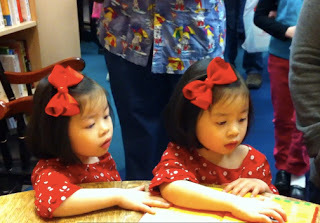 Blue Rose Girls: a real life Ling and Ting! a real life Ling and Ting! I meant to post this here last week but I forgot and only posted it on my personal blog. I've been having a hard time remembering what I have done --because I have so much to do! I admit, it's been a bit stressful, I haven't found a good way to juggle work and baby, packing, unpacking, prepping for sales... and I have to do my taxes. bleh. But, I had my booksigning at Porter Square Books bookstore. 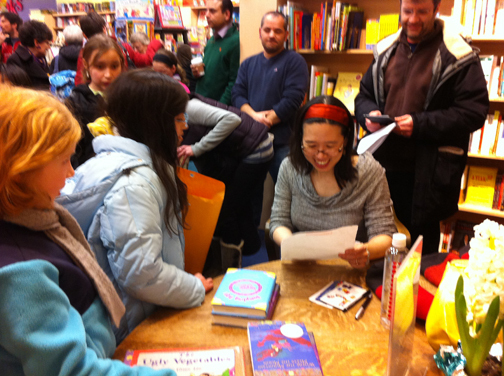 It was the last time I could call it a booksigning at my local bookstore as after this I will be two hours away! So, it was another reason to feel a bit melancholy. 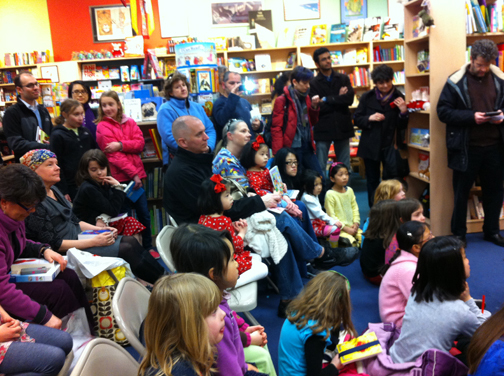 However, such an amazing, wonderful crowd showed up that any feelings of sadness quickly disappeared. 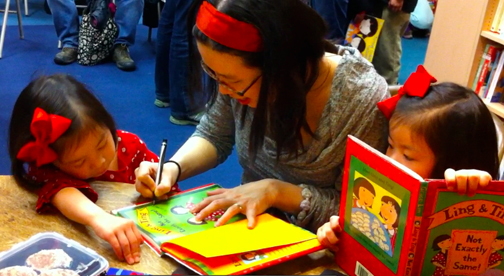 to get their Ling and Ting books signed! Can you tell why? 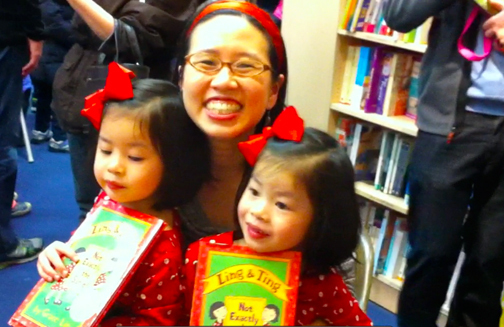 Yes, they were a real life Ling and Ting! Aren't they sweet? The whole event completely cheered me up! 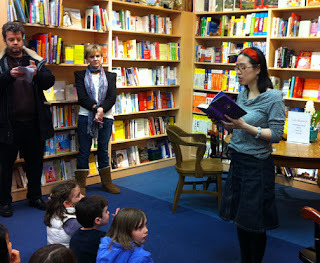 It was so great that I think I will have to come back in the future-- it's worth the two hour drive! So maybe I lied about this being my last signing at Porter Square Books...Thanks so much for coming, all!